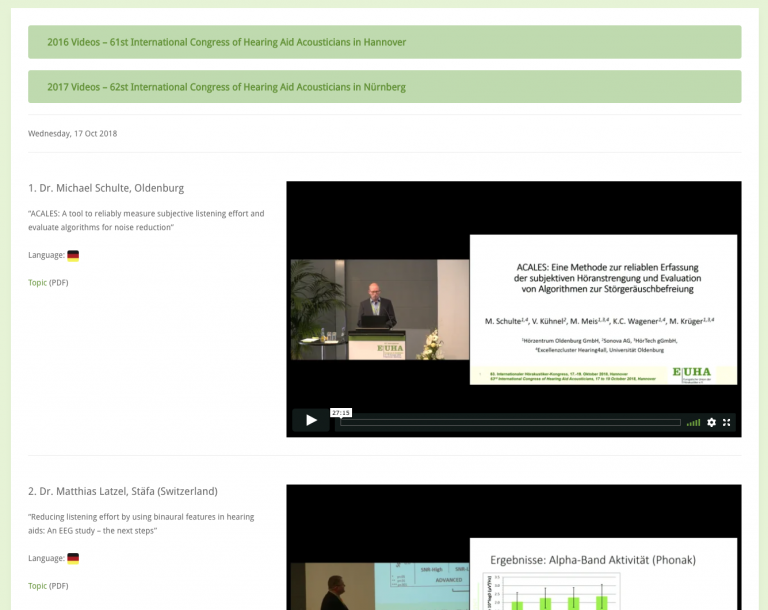 The video recordings (videos) of the lectures presented at the 63nd International Congress of Hearing Aid Acousticians held in Hannover between 17 and 19 Oct 2018 are now online (original-language versions). and your data for online access. „Wann ist Tinnitus überhaupt ein Fall für den Hörakustiker?